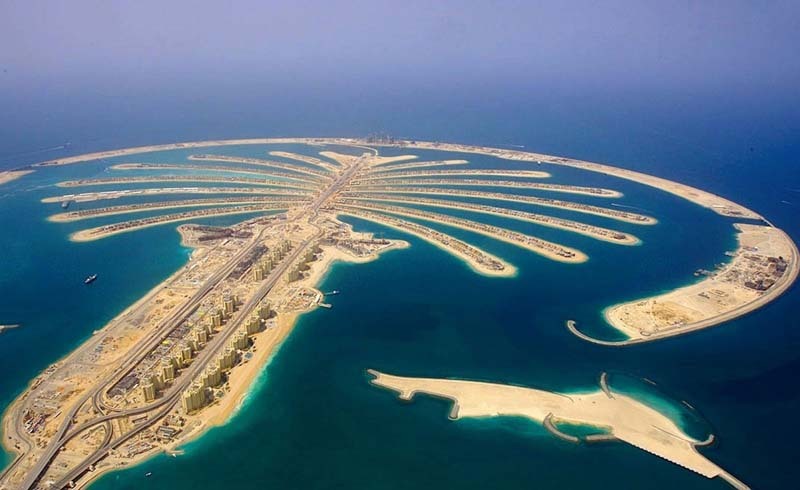 One of the world’s most daring developments, the Palm Jumeirah in Dubai is a haven for vacationers. 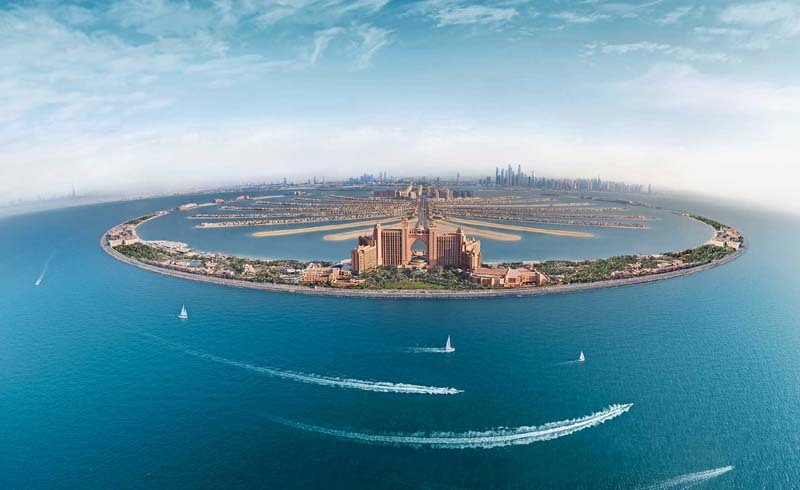 Jutting out into the Arabian Gulf, this man-made archipelago was built in the shape of a palm tree, with a 3-mile-long trunk and a fan of fronds lined with luxury villas and five-star hotels. 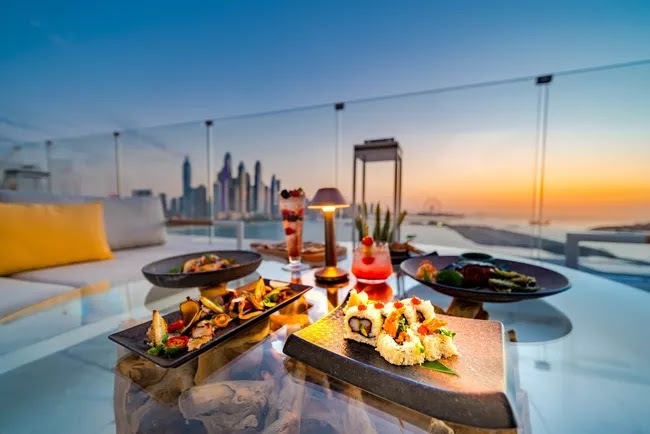 From water parks and wildlife encounters to beach clubs and boozy brunches, discover 10 cool things to do at the Palm Jumeirah in Dubai. One of the first things that strike you when visiting the Palm Jumeirah is its size. This giant archipelago is visible from space and the outer crescent is almost 7 miles long. There’s also a sizable distance between each hotel, so walking isn’t advisable. 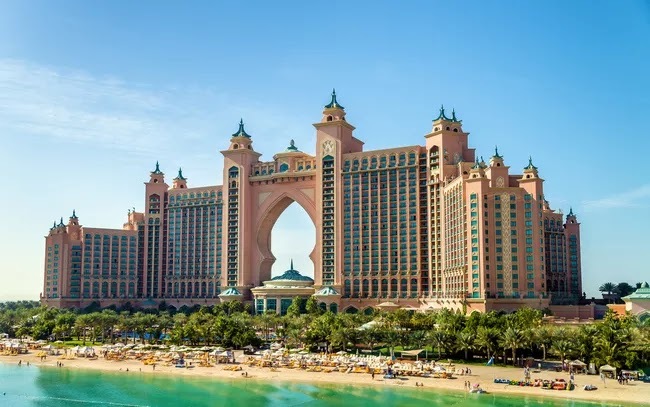 Taxis are cheap and plentiful, and a monorail runs from the base of the trunk to the Atlantis, making it the ideal base for exploring the must-visit sights of the Palm Jumeirah. Standing proud at the top of the Palm, the rose-hued Atlantis is one of Dubai’s most recognizable landmarks. It’s home to a five-star hotel, celebrity chef restaurants, and a pulse-racing selection of entertainment and leisure options. Unleash your inner kid at Aquaventure Waterpark, where you can ride record-breaking waterslides (including one that shoots you through a shark tank), splash in the pools, or kick back with a cocktail on the private beach. The underwater thrills don’t end when you leave the waterpark. 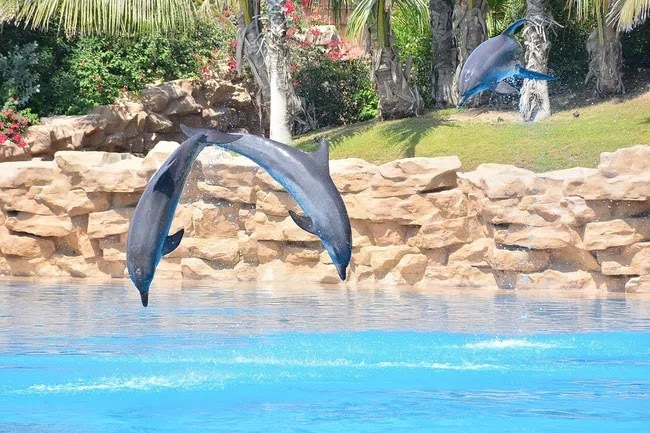 While you’re at Atlantis, swim with dolphins at Dolphin Bay, get up close and personal with the resident sea lions, and take a tour of The Lost Chambers Aquarium, where you can snorkel or dive through lagoons that are teeming with 65,000 marine animals, including 14 species of sharks and rays. For something a little more sedate, sign up for a yoga session overlooking the aquarium, held on Tuesday and Friday mornings. The weekend falls on Friday and Saturday in Dubai, and Friday brunch is serious business. Get your weekend off to a flying start with the Nobu High Brunch, a four-hour feast of Nobu Matsuhisa’s signature mod-Japanese dishes paired with free-flowing cocktails and Champagne. For a family-friendly brunch, head to the Waldorf Astoria’s Secret Garden Brunch, where there is a kids’ corner and children under 6 dine free. 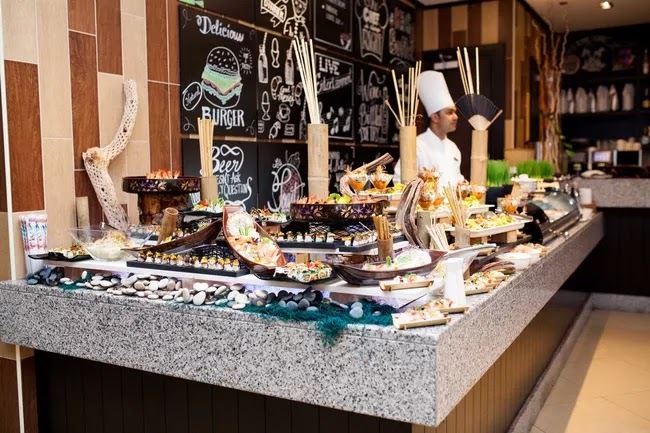 Another popular brunch on the Palm is the Friday Fork & Cork at Crescendo, at Anantara Dubai The Palm Resort & Spa, offering an array of cuisines and live cooking stations from around the world. Strap in for a wild ride with Splash Tours. 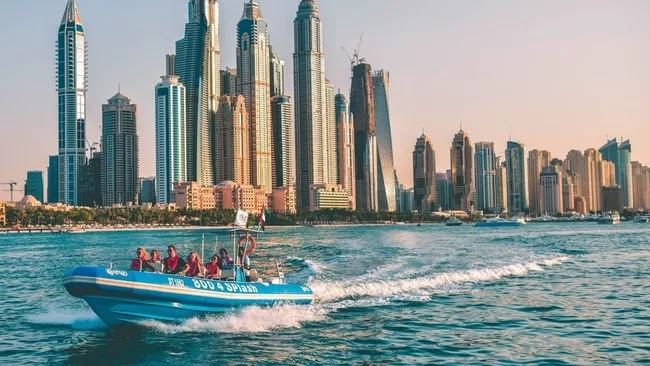 The pulse-racing, 90-minute speedboat ride sets off from Dubai Marina, cruising around the Palm Jumeirah and pausing for a photo in front of the Atlantis. 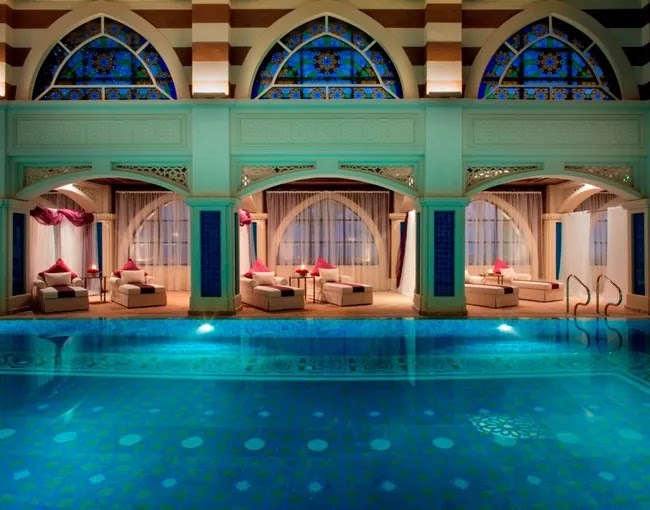 You’ll then jet onto the Burj Al Arab before sailing past some of Dubai’s most lavish royal palaces. If you’d prefer something a little less hair-raising, explore the calm waters surrounding the Palm Jumeirah with SeaYou. Join a guided kayak tour departing from the Sofitel hotel and paddle around the crescent, taking in views of Dubai Marina, Burj al Arab, and the world’s tallest building, the Burj Khalifa. Or, put your balance to the test with a Stand-Up Paddleboarding session, including yoga and pilates classes in the calm waters surrounding the Palm. 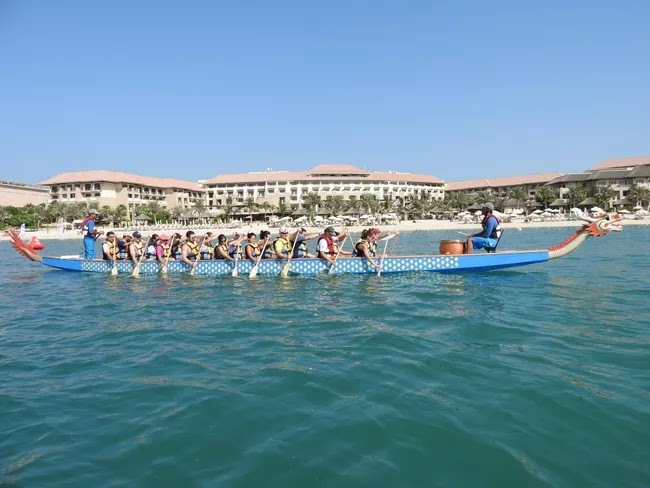 If you’re traveling with a big group, why not take one of SeaYou’s dragon boats out for a spin? 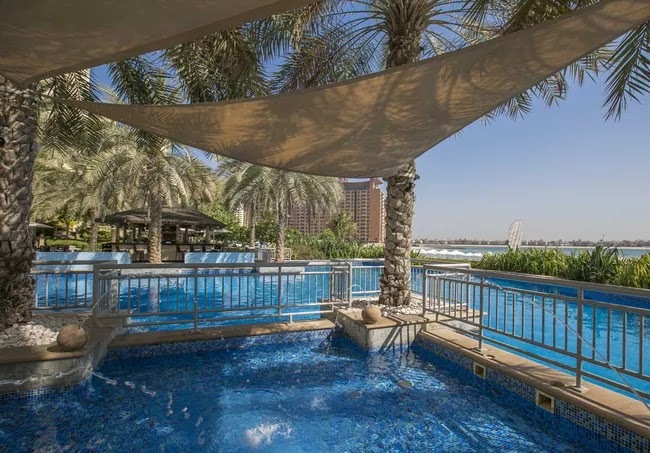 When the temperature soars in Dubai, Riva Beach Club knows how to keep you cool. This chic retreat on the trunk of the Palm is home to a private stretch of sugar-white sand, a Mediterranean restaurant, a breezy gazebo bar slinging icy cocktails, and a palm-fringed swimming pool that’s chilled during summer (and heated in winter) for year-round dips. Settle into a cabana or kick back on a sunlounger at Spanish beach club El Chiringuito in the luxury hotel Rixos The Palm Dubai. Lush with bougainvillea and palm trees, this style-savvy hideaway promises a taste of Ibiza on the Palm Jumeirah. Short on time but not strapped for cash? Discover Dubai’s most iconic sights with a City Circuit helicopter tour departing from Atlantis The Palm. 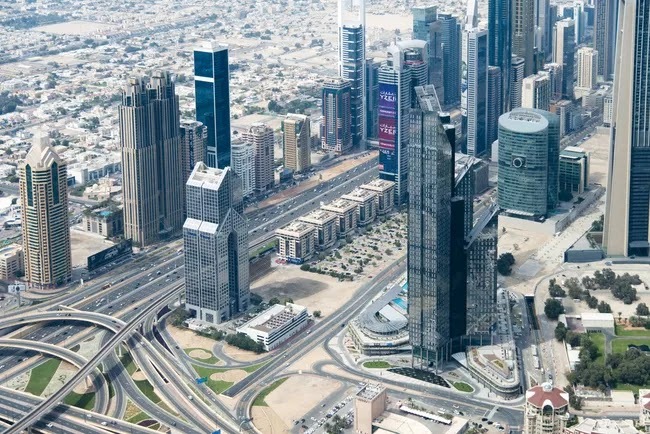 The 25-minute flight delivers a bird’s eye view of the Palm and the nearby World Islands, along with the Burj Khalifa and Burj al Arab, the skyscrapers of Sheikh Zayed Road, and the heritage architecture of Dubai Creek and the old town. 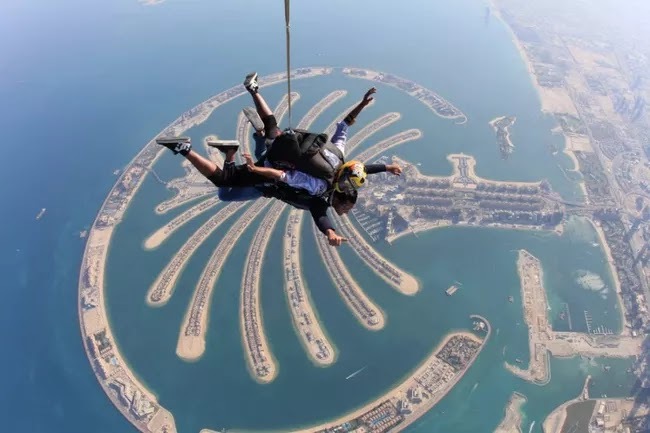 For the ultimate adrenaline rush, jump out of a plane as it cruises over the Palm Jumeirah. Skydive Dubai offers tandem skydives at the premium Palm Dropzone, reaching speeds of up to 120 mph and offering eye-popping views of the Palm, the Dubai Marina and the turquoise waters of the Arabian Gulf. As the sun sets, hightail it to swanky newcomer The Penthouse. Located on the 16th floor of ultra-luxe Five Hotel, this adults-only hideaway delivers jaw-dropping views of the Dubai Marina skyline. Ladies, pencil in a date with The Penthouse on a Tuesday evening, when Ladies Night sees you treated to three free drinks. Or, visit during the day midweek to take advantage of the Spa, Dine, and Pool package, including access to the Penthouse pools, food and drinks vouchers, and a 45-minute massage.